Evoluchain was invited by BNP Paribas at the VivaTech worldwide event in Paris, in June 2016. During 3 days, our team has seen a lot of people and worked in Blockchain workshops to imagine a better tomorrow. By the end of these 3 days, there were startups prizes and rewards from BNP Paribas, concerning the 50 startups that were invited as us, on their booth. We are very proud to announce that we won the 1st BNP Paribas Prize in Connected Finance at VivaTech 2016, yay! Thank you very much to all the BNP Paribas staff to have welcomed us and shared such great content with all of us. We are very happy to have exchanged ideas about fintech and the future of banking during these 3 very exciting days. 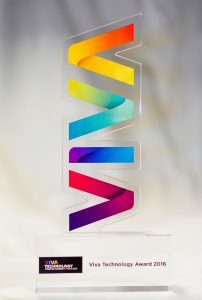 Below is the BNP Paribas video about the last day at VivaTech and the prizes ceremony.